Otterbourne Brass has had a fantastic year, coming second in our section at the West of England Brass Band Association Regional Contest in Torquay this year, we are on our way to the National Finals in Cheltenham in September. In addition, we competed at the SCABA Entertainment Contest on Sunday 21st May and came first, winning a great selection of trophies. We are excited to present to you our summer programme, a great selection of music designed to show you the strengths that won us these fantastic prizes. Visit us at the Otterbourne Fete whilst voting on Jalopies, getting a burger and a drink, and watching a variety of entertainment in the centre square. Otterbourne Brass Summer Concert 2. Please check back for ticket details or Contact Us. Tickets are £8 for adults and £5 for under 14s. Light refreshments will be available in the interval, and a raffle will be drawn. Tickets can be purchased in advance at EventBrite by clicking here. 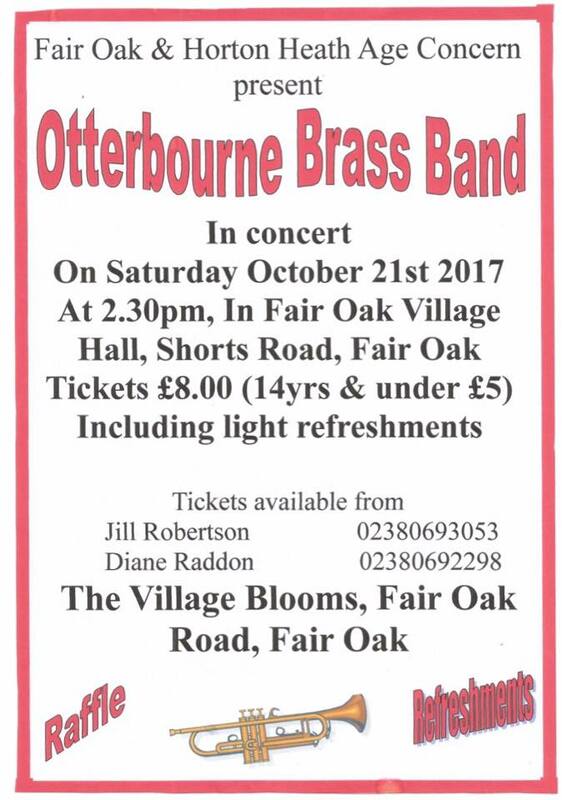 Email tickets@otterbournebrass.org.uk or call Harriet on 07545 632129 for more information. This event is free, but as we are a charity this is the time of year we play for donations. The money collected goes towards rehearsal room rent, concert venue booking and associated costs, instrument repairs and insurance, entry fees for contests (such as the National Finals, which we played in on 16th September to come 5th in the country for the 2nd section), conductor fees and others. Without our carolling donations, we would not be able to continue playing, so we are extremely grateful for the members of the public who support us during this festive season. Tickets will be advertised nearer the concert. Come and listen to Christmas Carols played by members of Otterbourne Brass at Fareham Shopping Centre. Without our carolling donations, we would not be able to continue playing. As such, we are extremely grateful for the members of the public who support us during this festive season. Come and listen to Christmas Carols played by members of Otterbourne Brass at Sainsbury's, Shirley. Come and listen to Christmas Carols played by members of Otterbourne Brass in Winchester High Street. 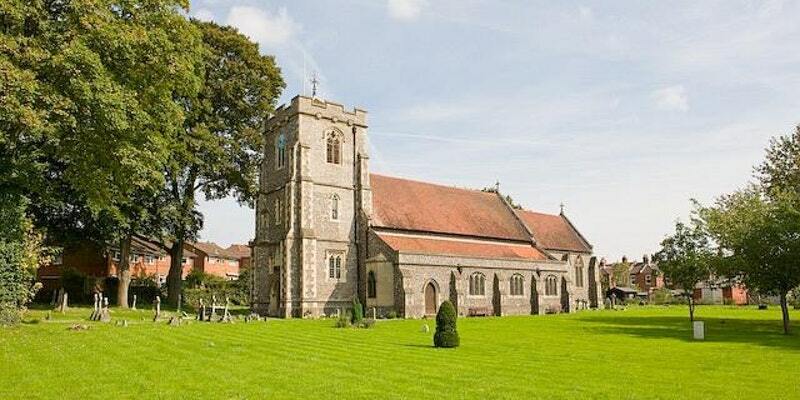 Come and sing along to Christmas Carols played by members of Otterbourne Brass in Hamble. Each year, the Square in Hamble is a magical place on Christmas Eve. Hundreds of locals gather to sing carols and raise money for local charities. Everyone is welcome to gather at the Square and sing carols together in celebration of the Christmas season! As we are a charity, this is the time of year we play for donations. The donated to Otterbourne Brass goes towards rehearsal room rent, concert venue booking and associated costs, instrument repairs and insurance, entry fees for contests (such as the National Finals, which we played in on 16th September to come 5th in the country for the 2nd section), conductor fees and others.